Congratulations Koffee Radio | Celebrity Plus-Again! 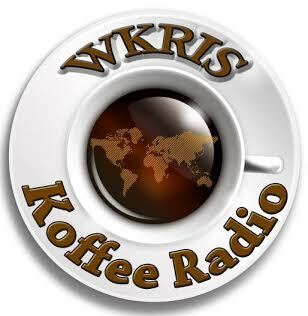 At its launch, Koffee Radio had only 6 DJs and could only be heard by going to www.wkris.com. Today the station has twenty hand selected DJs on board and can be found on the Tunein App, on Itunes Radio and for listeners who are concerned about their phones data usage, they have two “Dial-to-listen” numbers in the United states and one for the United Kingdom that is FREE of charge to listeners. Koffee Radio DJs understand this and focuses on pleasing our listening audience by playing a variety of genres which not only attracts but keeps listeners happy. Our programing and content provides soothing entertainment which is appropriate for listeners of any age. Koffee Radio’s Programing includes music from different genres, interviews with business, weekly interviews with artists both upcoming and Established. Some of the artists interviewed are Morgan’s Heritage, Mr. Vegas, Tony Curtis, Dexta Daps. In our first year, every two month WKRIS (Koffee Radio) alongside Black IWA TV hosts a clothing food and toy drive, donating these items to the poorer communities in Orlando. In August 2014 Koffee Radio and Entourage Promotions repainted and cleaned the local Post Office in Treadways Jamaica. We have had book drives which benefitted children from Jamaica. This entry was posted in News and tagged culture, dancehall, koffee radio, listeners, Lovers Rock, Music, radio, reggae, roots. Bookmark the permalink.